One of the 23 city wards of Tokyo, Shinjuku is a bustling entertainment, shopping and business district and home to some of Tokyo’s tallest buildings and over 7000 restaurants and bars. Shinjuku Station is the busiest in the world, handling over 2 million passengers, or the whole population of New Zealand, every day. Tokyo’s famed high-end shopping, entertainment and dining district, offers visitors all the upmarket luxurious with plenty of department stores, boutiques and restaurants. 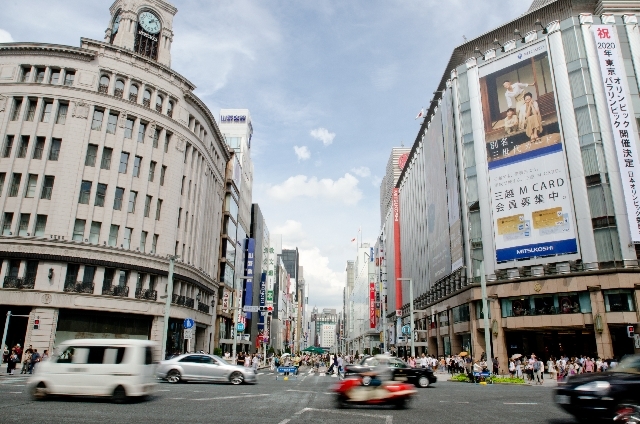 Famed for the scramble crossing, Hachiko statue, Shibuya 109 department store and its colourful youth culture, Shibuya is a popular shopping and nightlife area filled with neon lights. Harajuku, another popular shopping area, is nearby and often known for its youth culture, and landmarks such as Takeshita Street, Omotesando and Meiji Shrine. Where the past meets the present; Asakusa is a mix of traditional and modern Japan in one district. It is symbolised by Tokyo’s oldest and one of the most significant temples, Sensoji Temple. The Tokyo Skytree, Japan’s tallest building, is located nearby. Also known as the Electric Town, Akihabara is the centre for Japanese electronic goods and ‘Otaku’ culture with numerous stores specialising in anime and manga merchandise. Situated on a man-made island in Tokyo Bay, Odaiba hosts shopping and entertainment facilities, the iconic Rainbow Bridge and lavish sea views of the city. Tsukiji Market is a large market located in central Tokyo, best known for having one of the world’s largest fish markets. Built in 1983, Tokyo Disneyland was the first Disney theme park built outside the United States and has regularly been the most popular and profitable Disney Resort in the world. DisneySea opened in 2001 as an expansion to the Disney Resort and inspired by sea legends and myths. Both are located just outside of Tokyo. Located inside the Shinagawa Prince Hotel, the newly renewed Shinagawa aquarium is filled with colour and light, giving you a new and exciting experience. Travel around Tokyo on the Sky double-decker buses and choose from a selection of sightseeing courses. Just south of Tokyo is Japan’s largest city by population, and one of the most prominent port cities in the country. 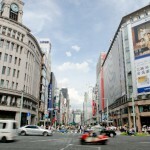 Popular areas include the Minato Mirai 21 area, Chinatown and Yamashita Park. Come spring this mountain route, which travels through the Northern Japanese Alps, gives way to a spectacular snow corridor. 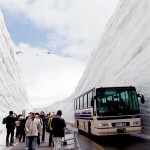 Each side of the road is enclosed by snow walls which can reach up to 20m high. This seasonal attraction can be experienced between mid-April to mid-June. 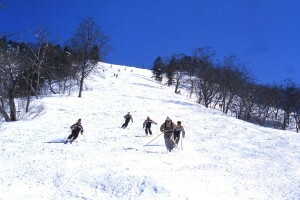 Acting as the main gateway city for many of Hokkaido’s popular ski resorts, Sapporo has been the host city to the Winter Olympics and is also greatly famed for its Snow Festival. Making use of the landscape are the number of beautiful parks, Sapporo TV Tower and Susukino, the main entertainment district. Located along eastern Hokkaido is Shiretoko National Park, one of Japan’s Natural Heritage Sites. In winter, the Aurora Sightseeing Ship offers boat tours through Japan’s Ryuhyo Drift Ice seas. The best season to visit is during late February. 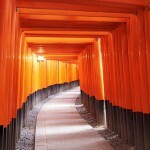 Once the capital of Japan, Kyoto today is Japan’s cultural hub and known as the City of Ten Thousand Shrines. The city boasts some of the most significant sites in Japan including Kinkaku-ji Temple (The Golden Pavilion), Kiyomizu Temple, Gion District and Fushimi Inari Shrine. It is also Travel +Leisure World’s Best City Overall 2015. Hot springs are a popular destination for many Japanese tourists. With thousands found all across Japan, there will almost always be a relaxing hot spring just a stone throw away. Located in the southernmost part of Japan, Okinawa Prefecture consists of a few dozen small islands stretching out towards Taiwan. Climate is subtropical, with warm temperatures throughout the year and is a popular holiday destination for many, both national and international. 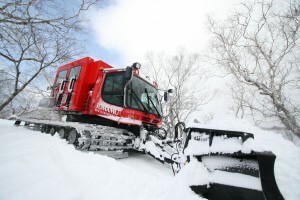 Wanting to travel around Japan before or after your ski trip? Contact us to make the most of the jam-packed and affordable packages on offer, wherever it may be. Tours include deals specifically catered for the Japanese market, which means more choices, so you know you’re getting all the options.